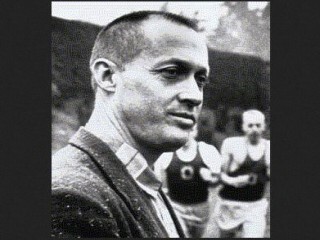 Bill Bowerman was a respected figure of success at the University of Oregon, Bill Bowerman was a track-and-field innovator and the co-founder of Nike, Inc. He trained 31 Olympic athletes, 51 All-Americans, 12 American record-holders, 24 NCAA champions and 16 under-four-minute milers. Bowerman was born in Portland, Oregon and graduated from Medford High School before attending the University of Oregon. At Oregon, he played basketball and football and joined Bill Hayward’s Ducks as a quarter-miler. After graduation in 1934, he began his coaching career at the high school level, first in Portland and then as the head football and track and field coach at Medford. He continued to coach at the high school level until 1948, with an interruption while he served in the Army during World War II. And during his 24 years as coach of the Ducks, his squad only had one losing season, earned four NCAA titles and finished top-10 in the nation 16 times. In 1948, Bowerman returned to his alma mater, and a year later, with Hayward retiring, Oregon hired him as the head track and field and cross country coach. Over the next 23 years, the Ducks experienced new levels of success, winning four national team titles and finishing twice as runner-up. Individually, Bowerman’s athletes were equally successful; he coached 24 NCAA individual champs, 33 Olympians, 64 All-Americans, and athletes who have achieved 13 world records and 23 American records. Among his Olympians were Gold Medalist Otis Davis, Dyrol Burleson, Jim Grelle, Bronze Medalist Bill Dellinger, Ken Moore, Wade Bell, and Steve Prefontaine. Bowerman’s contributions extend far beyond the University of Oregon. Bowerman served as the National Collegiate Track Coaches Association’s (NCTCA) vice president in 1958-59 and took the helm of the organization as its president in 1959-60. The NCTCA is one of several predecessor organizations that now form the U.S. Track & Field and Cross Country Coaches Association (USTFCCCA). The timing of Bowerman’s NCTCA leadership could not have been more significant, as tension between NCTCA coaches and the Amateur Athletic Union (AAU) came to a head in 1960-61. In response to the concerns of NCTCA coaches over the operating practices of the AAU, Bowerman was one of the primary leaders in the formation of the United States Track and Field Federation, which was the first step in establishing the system of autonomous federations to control individual sports in the United States that exists today. Bowerman also served as head track and field coach for the 1972 Olympic Team and played a leading role in Eugene’s successful bids to host the 1972, 1976, and 1980 Olympic trials.